Eurasian Harm Reduction Network has many contexts in which its logo appears. Part of my job was to give them a logo structure flexible enough for the range of contexts within which their logo will appear, as well as to create clear rules for when and how to use each version. Logo treatment was also a big issue for EHRN. The style guide addressed where the logo could be placed and the spacing that it should have around the edges (the width of one lobe of the logo’s heart). The guide also addressed the company color palette and its uses with respect to the logo. 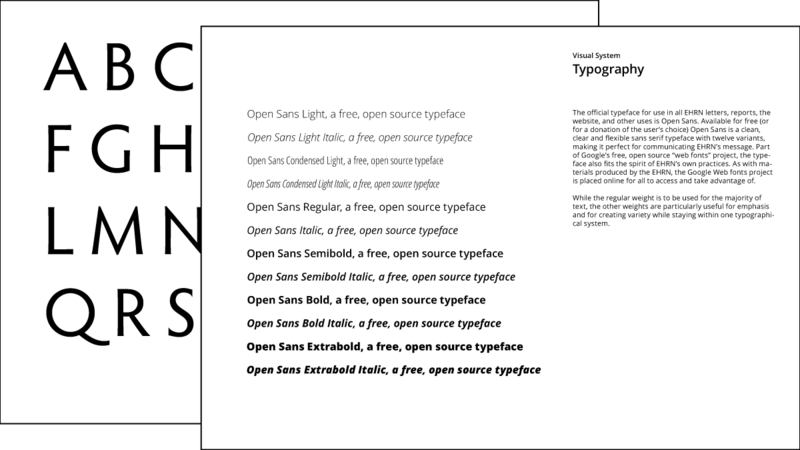 We established the official typeface of EHRN as Open Sans, a free typeface available through the Google Webfonts project. 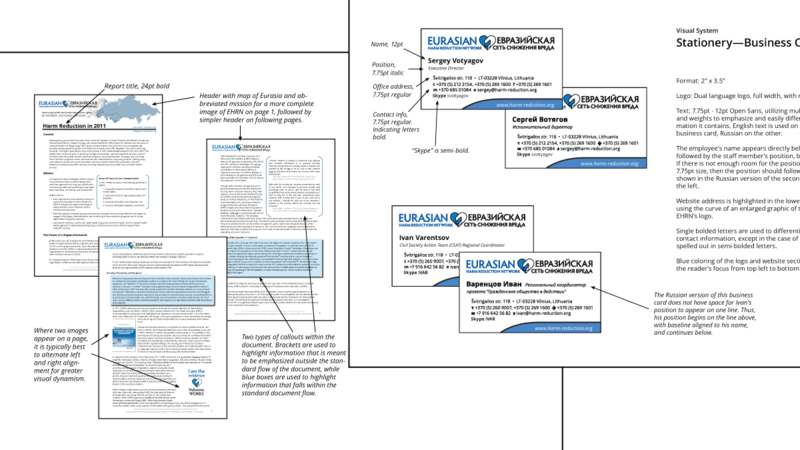 The style guide also explains the use of Hypatia Sans Pro for EHRN’s logo. It was important to document template details in the style guide—typefaces, font sizes and weights, and spacing, so that the design discussions and iterations we went through in our iterative process will not be forgotten, and will continue to guide EHRN in a unified corporate design strategy, in the future.